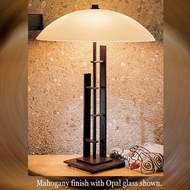 Asian Table Lamps & Oriental Lighting ~ Discount Coupon! Asian table lamps and Asian style lighting bring out the best of two cultures, with sophisticated line work, demure poise, and strong wrought iron materials fused with Oriental simplicity of design. Asian table lamps are ideal at home, in the office, or even for retail establishments looking to add Feng Shui to their décor. Asian style lighting come in a variety of styles and finishes so finding the perfect Oriental table lamp to complement your space will be a cinch. 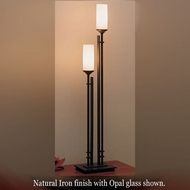 All of the Asian style lighting and Asian lamps available from Affordable Lamps are made of high quality durable materials, so any Oriental table lamps purchased are sure to last a long time. Use Asian table lamps to brighten up a space while adding an Oriental feel to any room. Our Asian lamps are available for sale any with so many to choose from, finding the right Oriental table lamps for any room is easy.